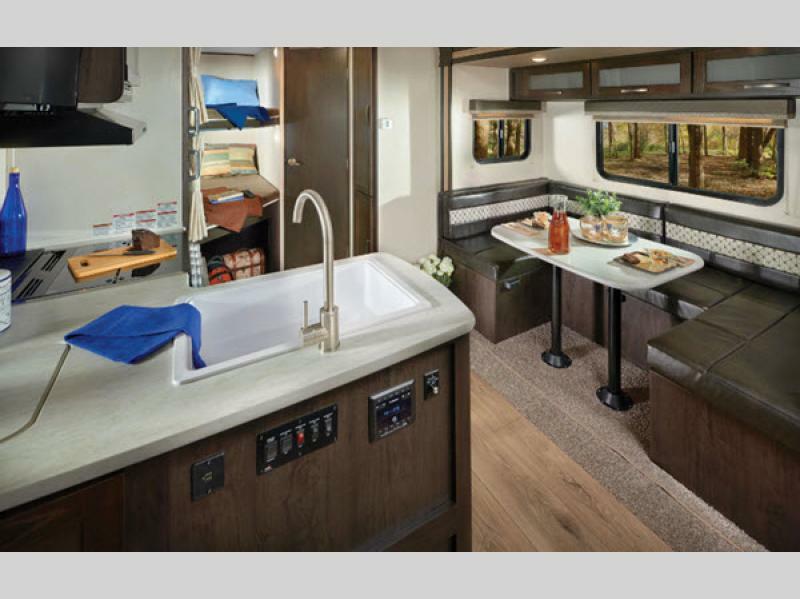 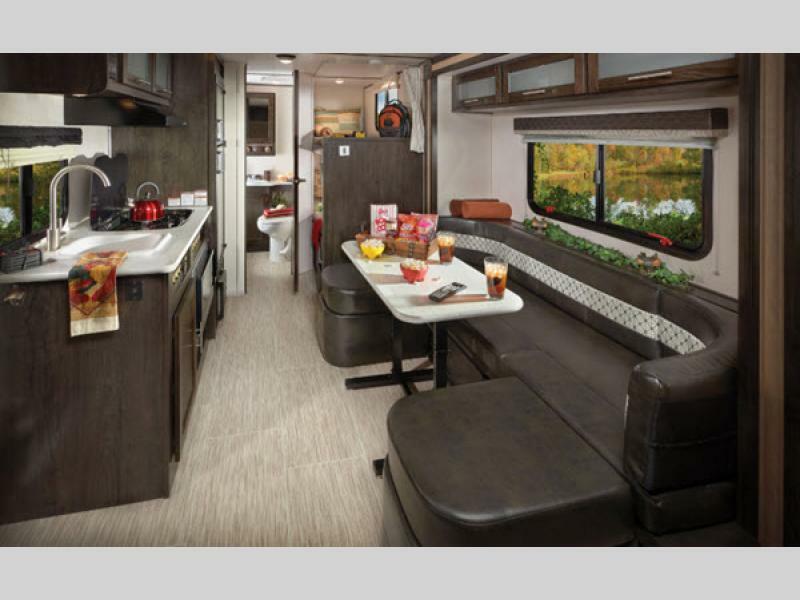 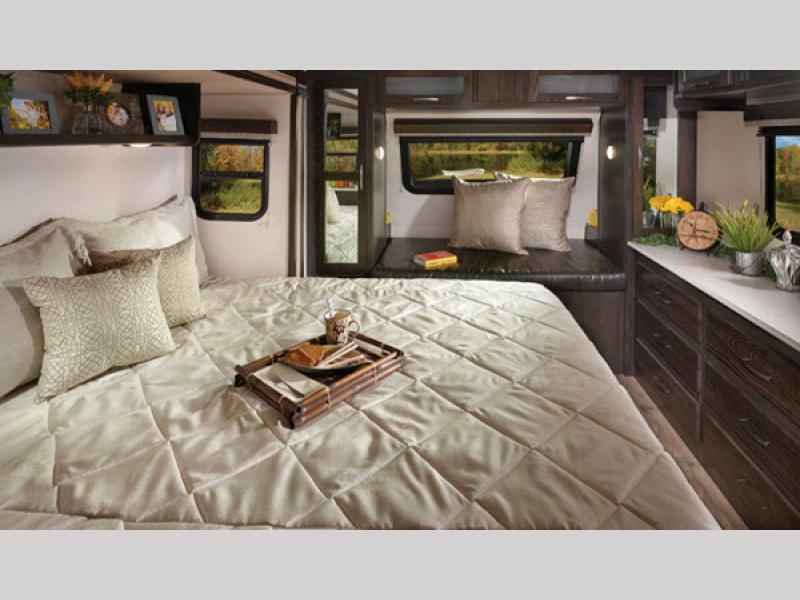 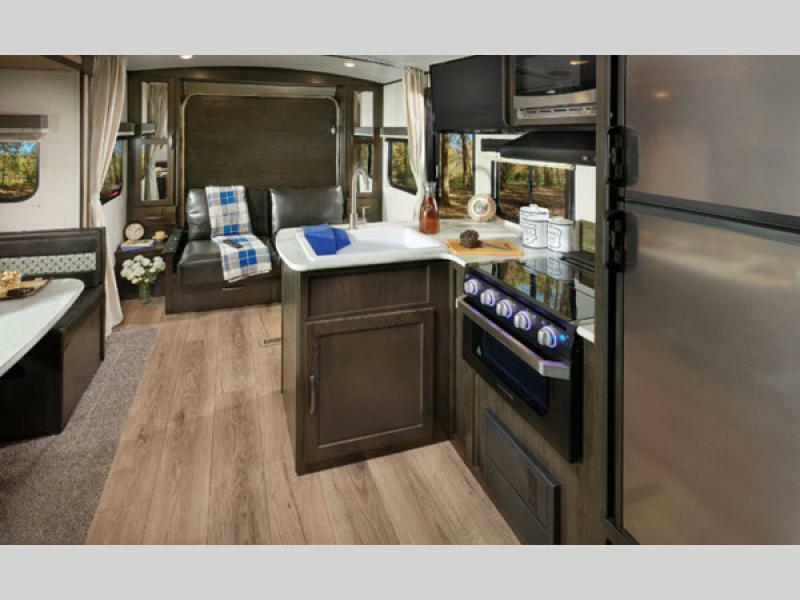 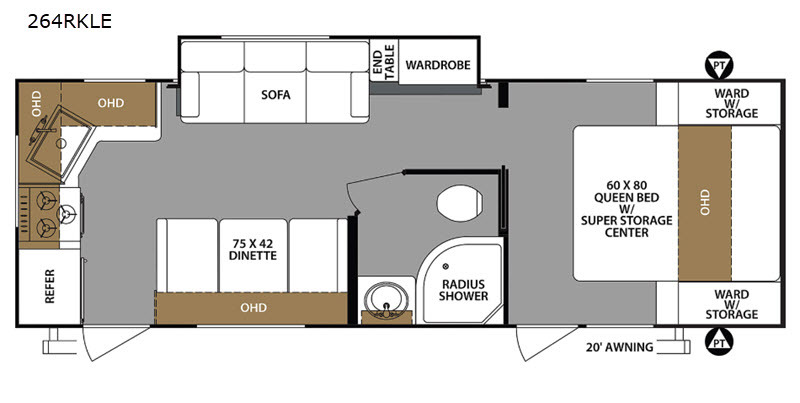 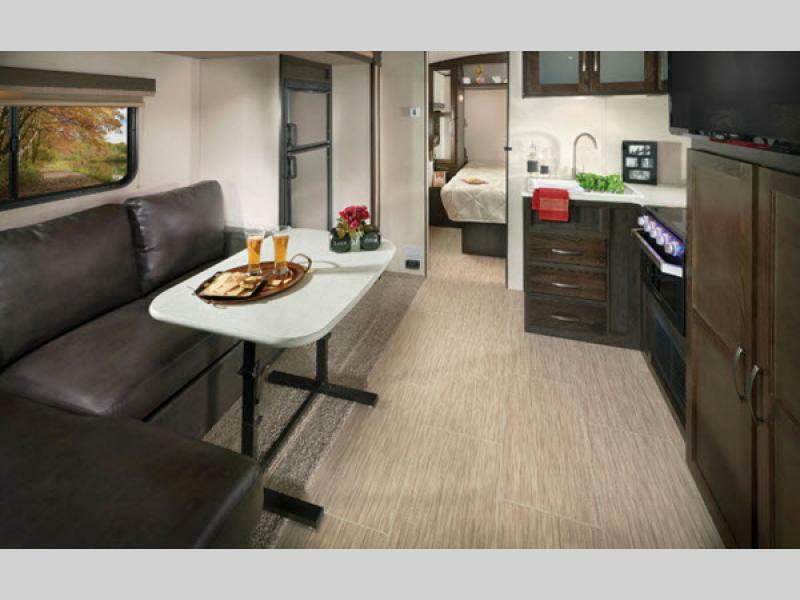 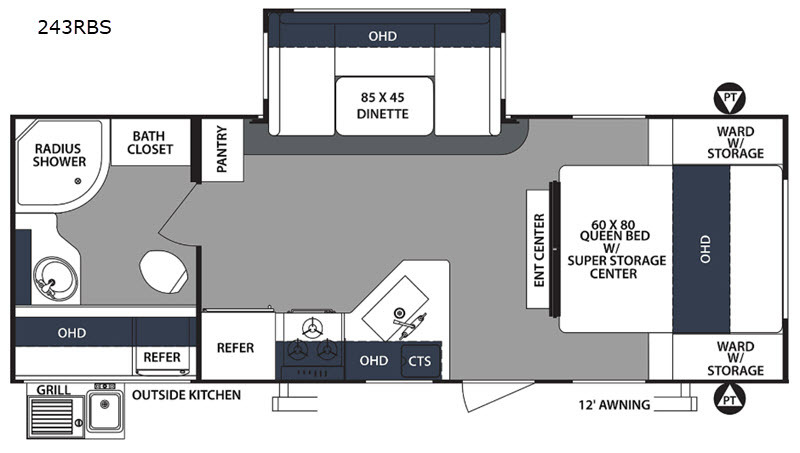 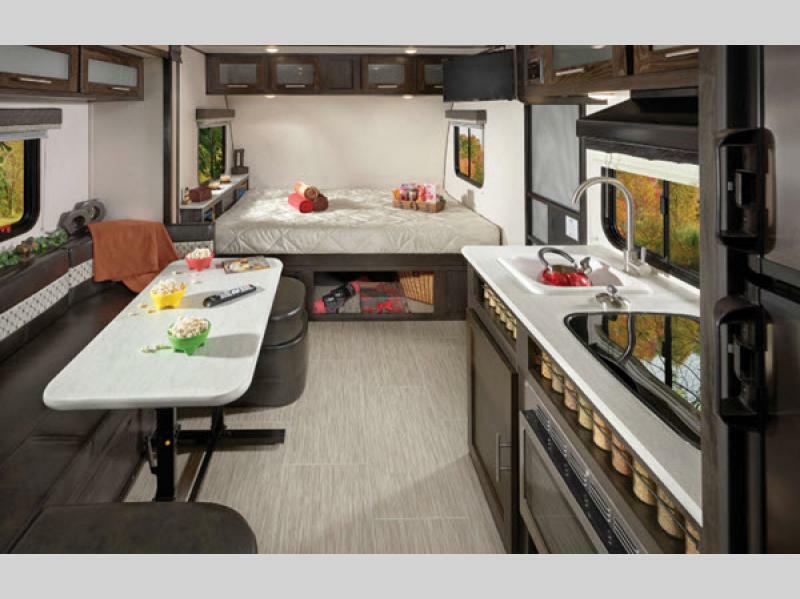 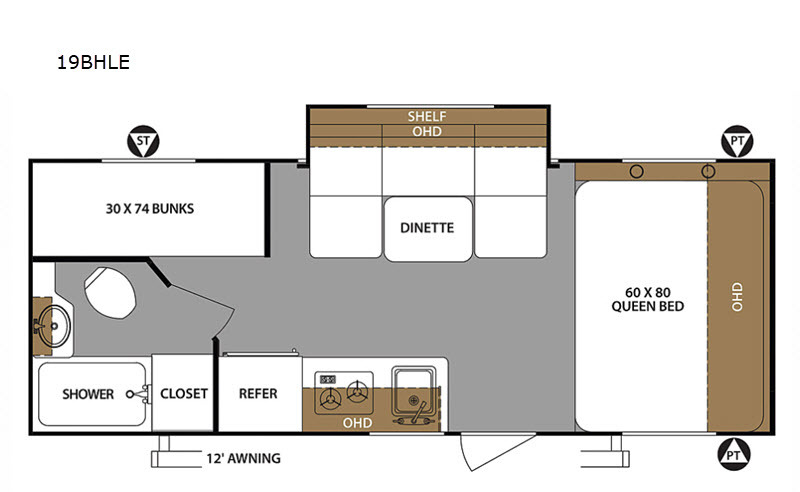 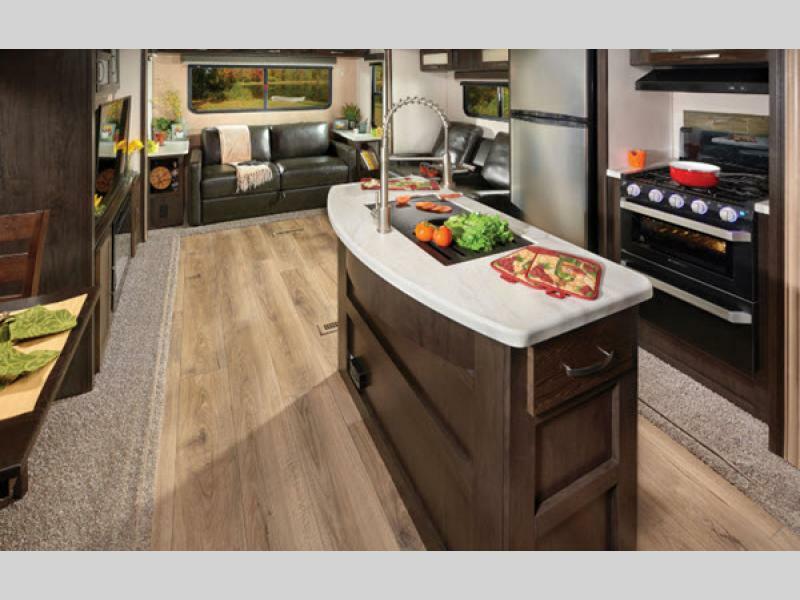 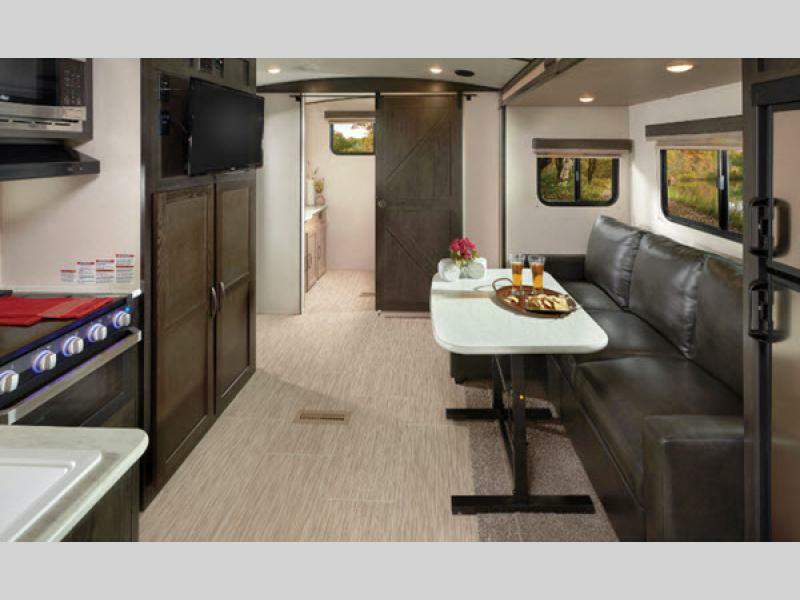 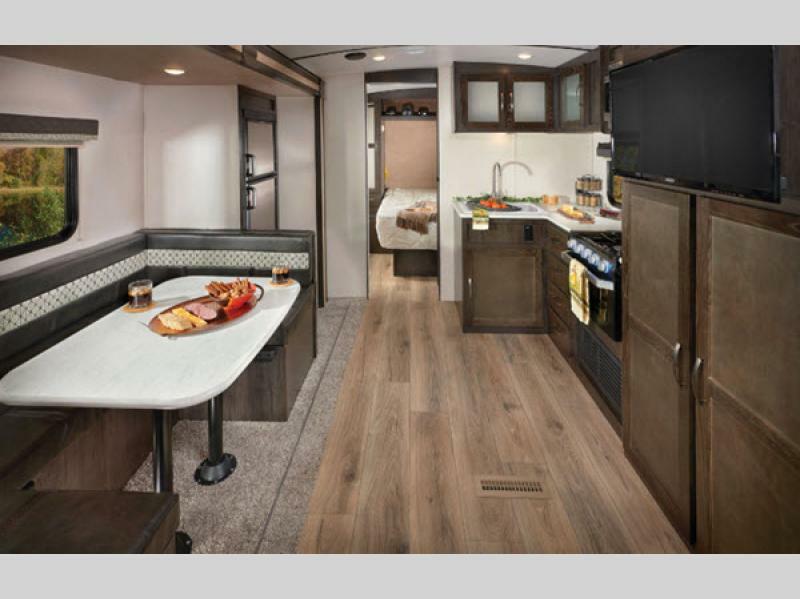 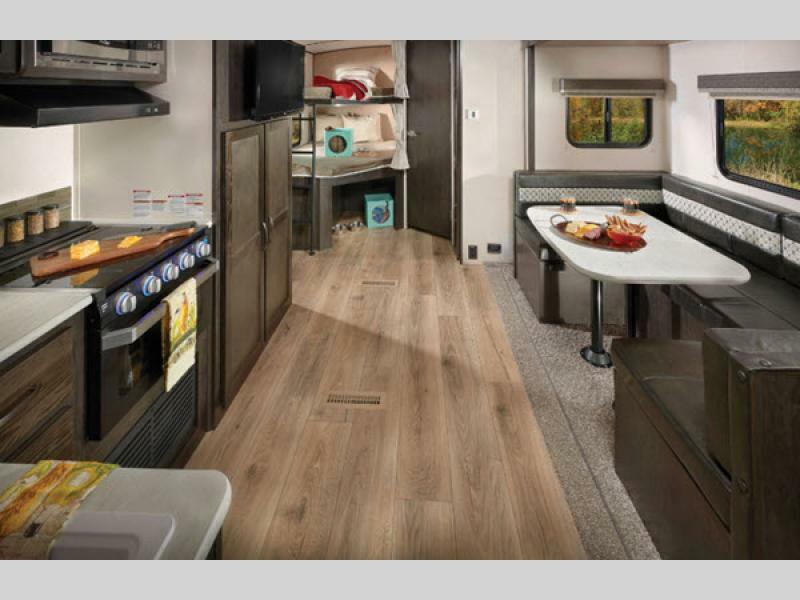 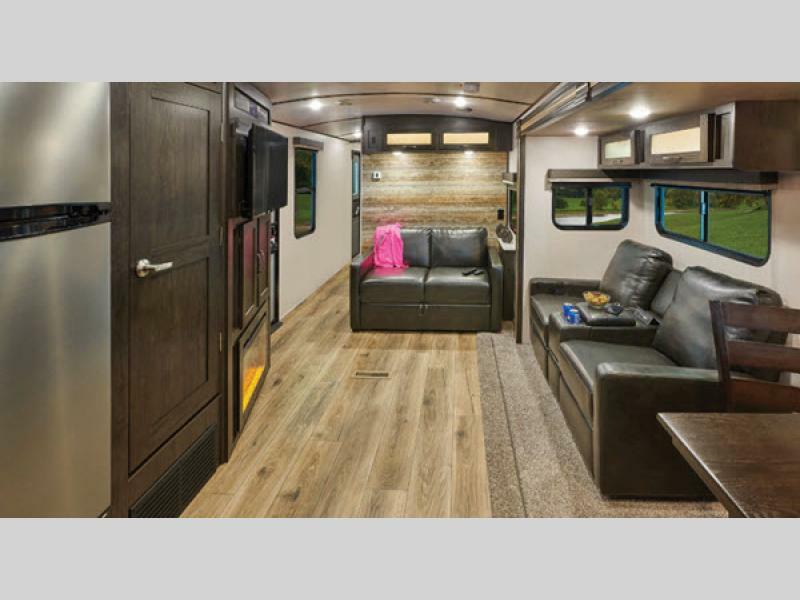 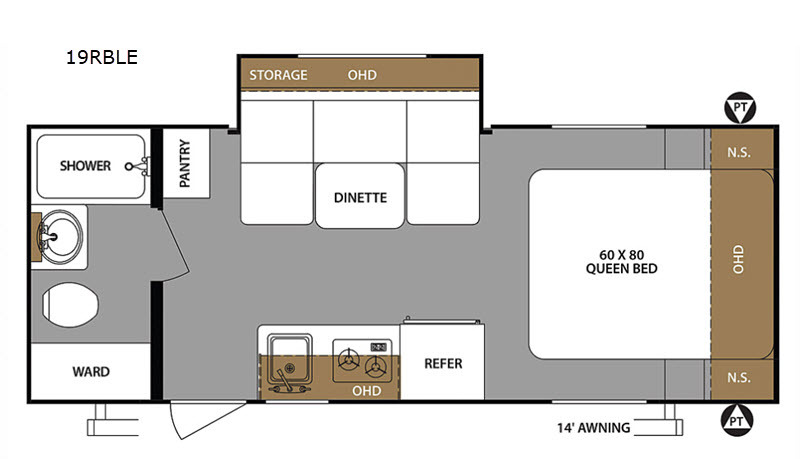 The Forest River Surveyor Legend and Luxury models bring you travel trailers and hybrid expandable units that are a cut above the rest. 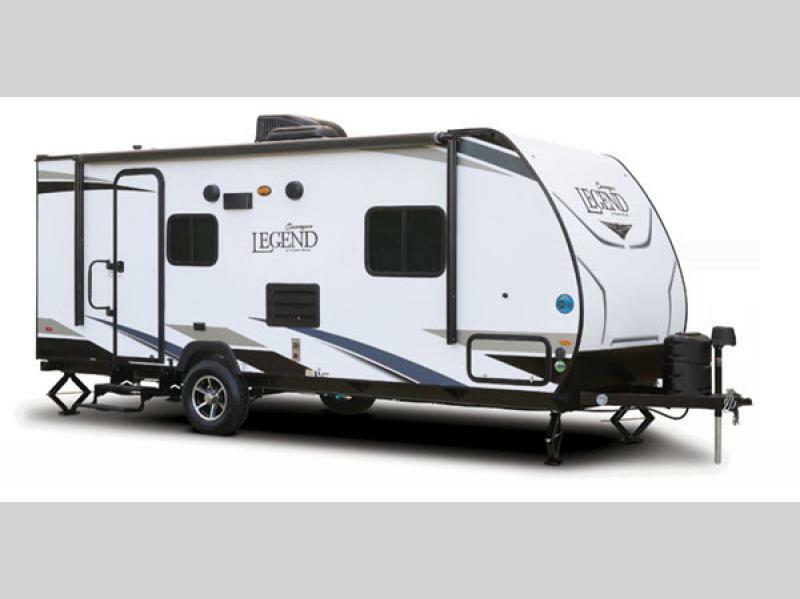 These ultra-light and luxurious lightweight models are built using an aluminum cage construction which provides the best structural integrity in its class. 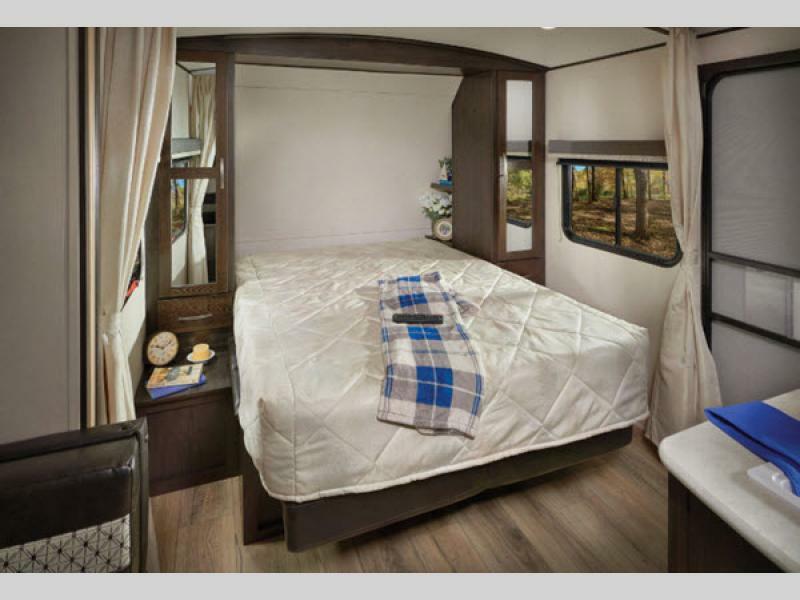 Each have a fully walkable roof with 16" on center aluminum trusses including 3/8" decking for maximum durability, and the Azdel exterior is completely water resistant and features two times the insulation value, plus the fiberglass exterior means a quieter RV altogether. 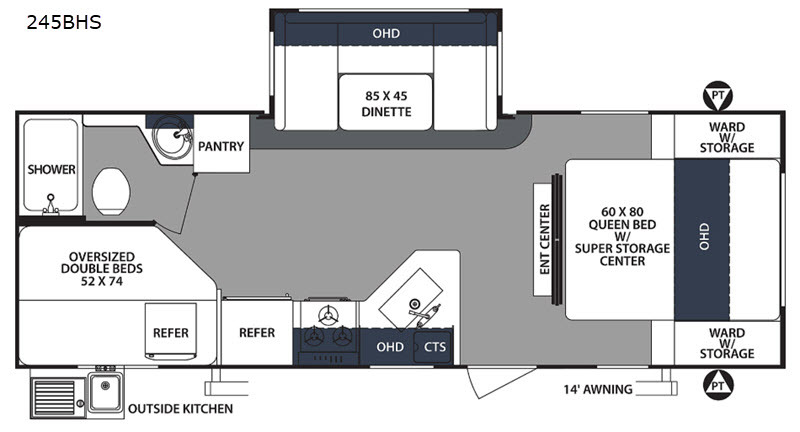 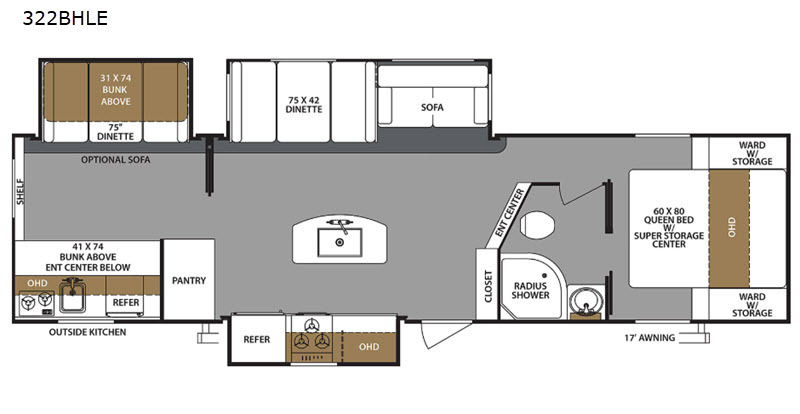 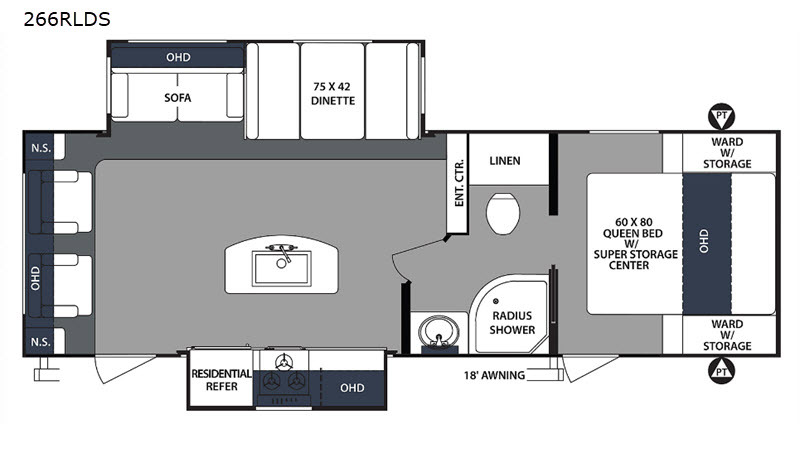 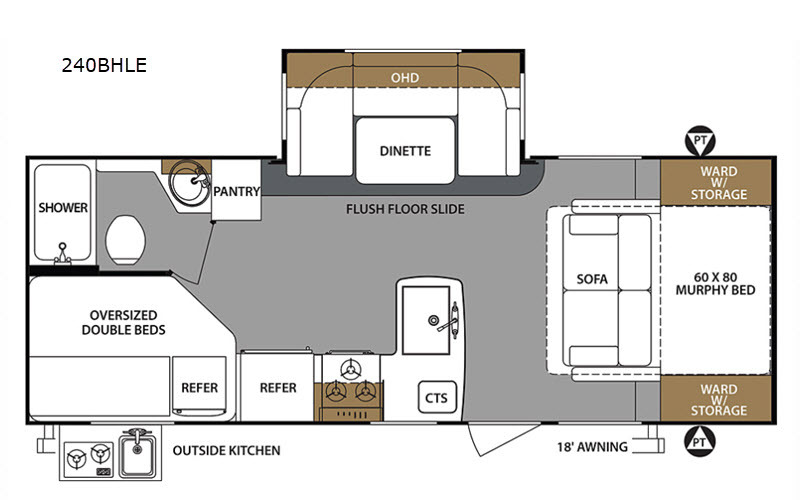 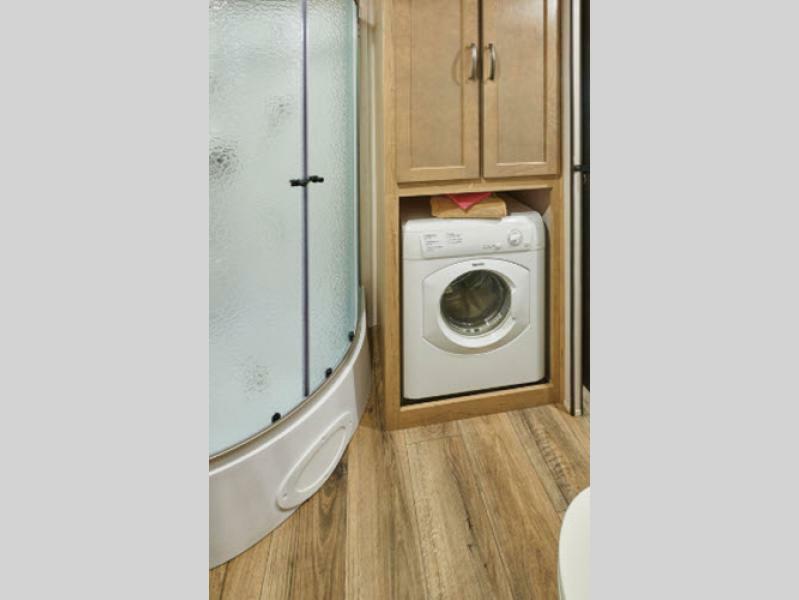 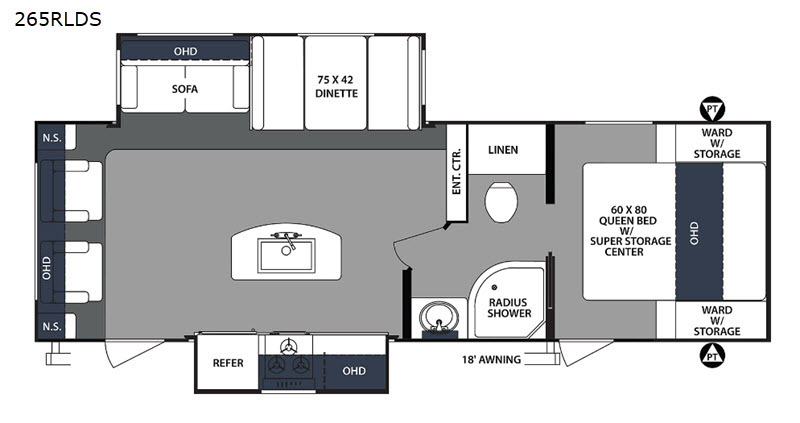 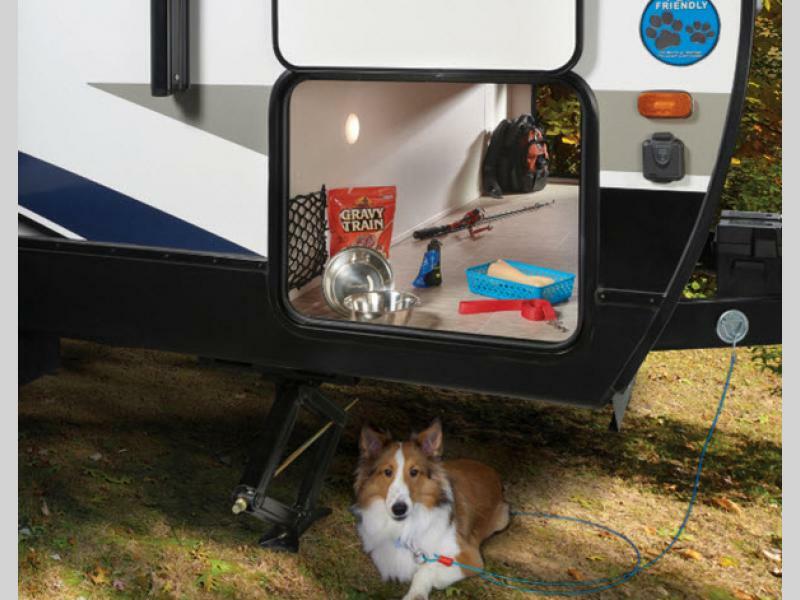 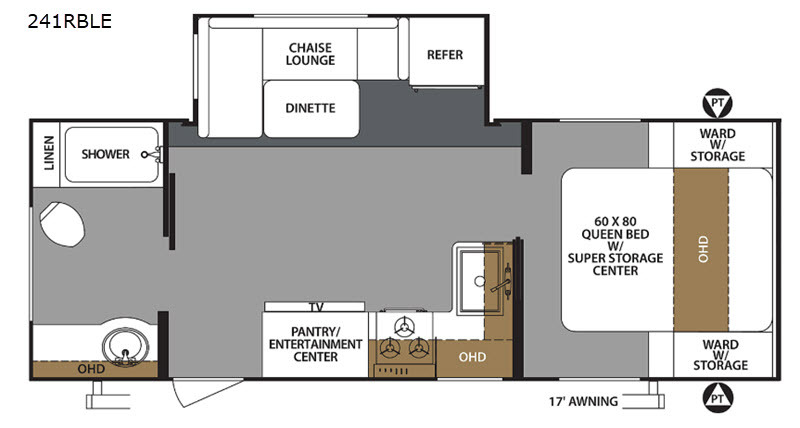 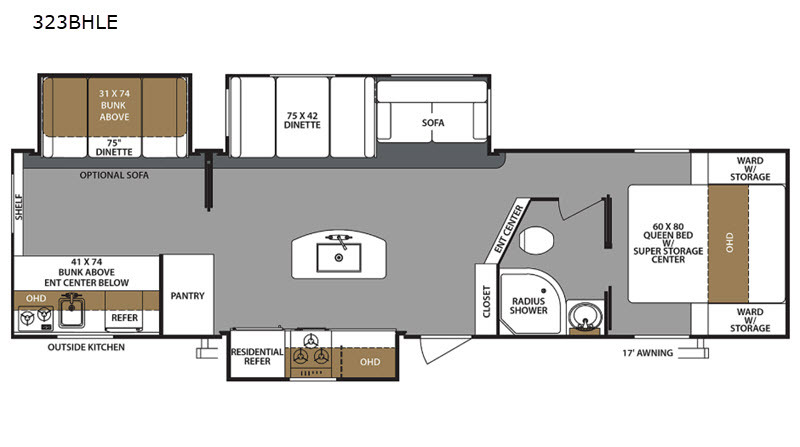 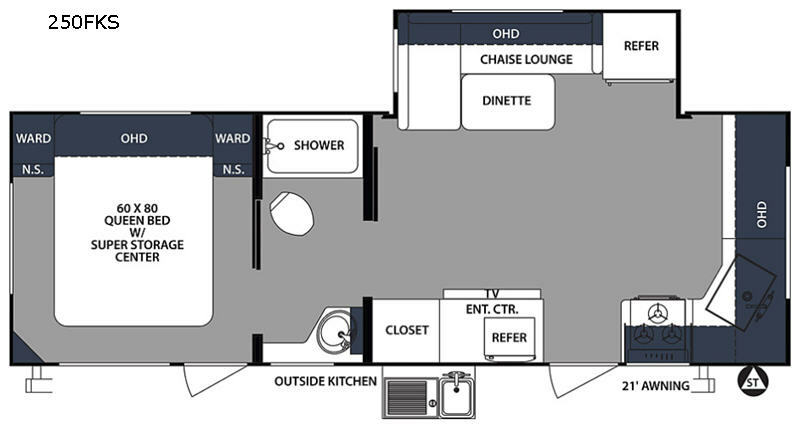 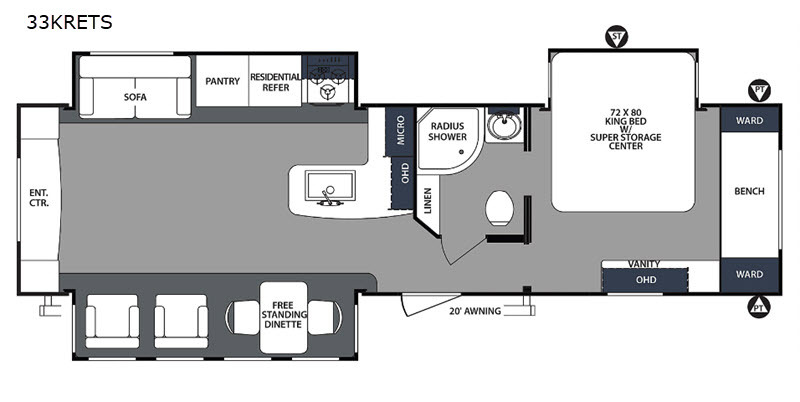 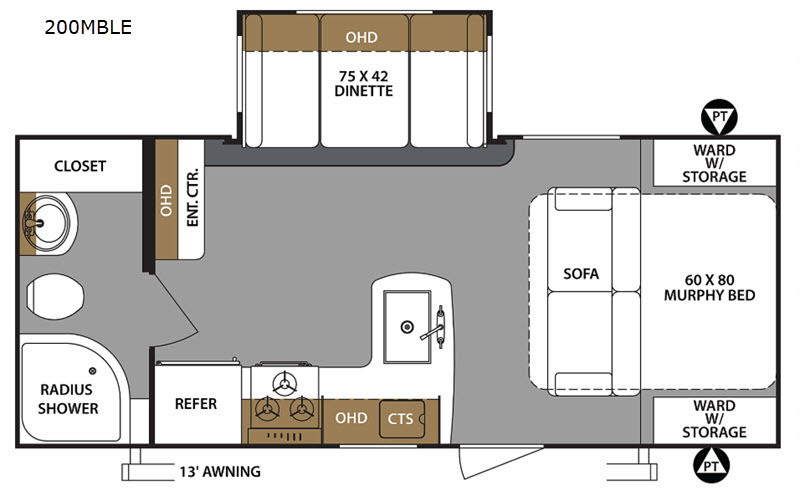 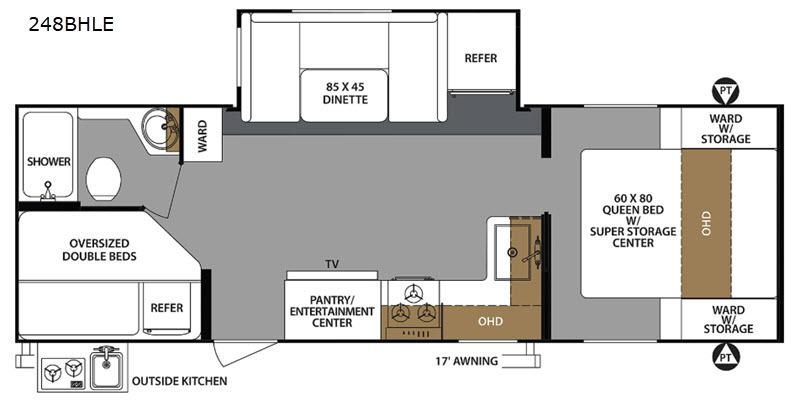 There are loads of family friendly units to choose from in either the Legend or Luxury series, and they both are pet friendly including pet bowls, leash connectors, and outdoor showers so that you can easily take along your favorite canine or feline friends. 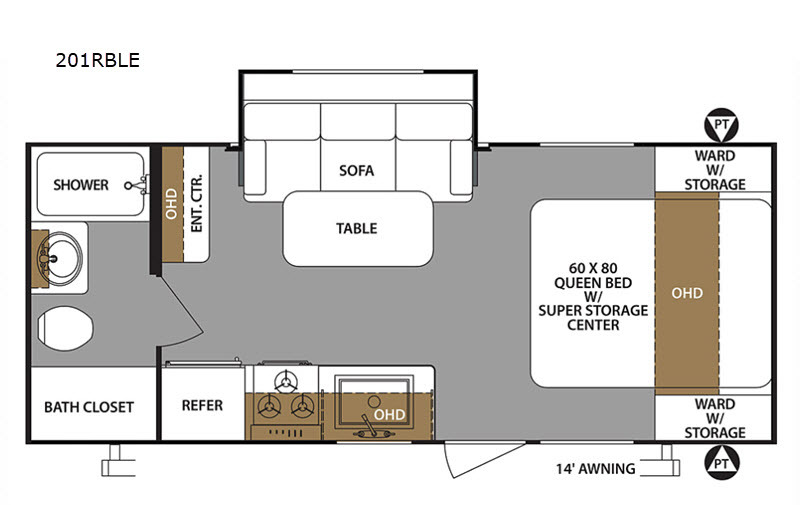 Your family will also enjoy the comfortable Platinum furniture which is exclusive to Surveyor as well as the industry leading bedroom storage with easy super storage centers beneath most queen beds. 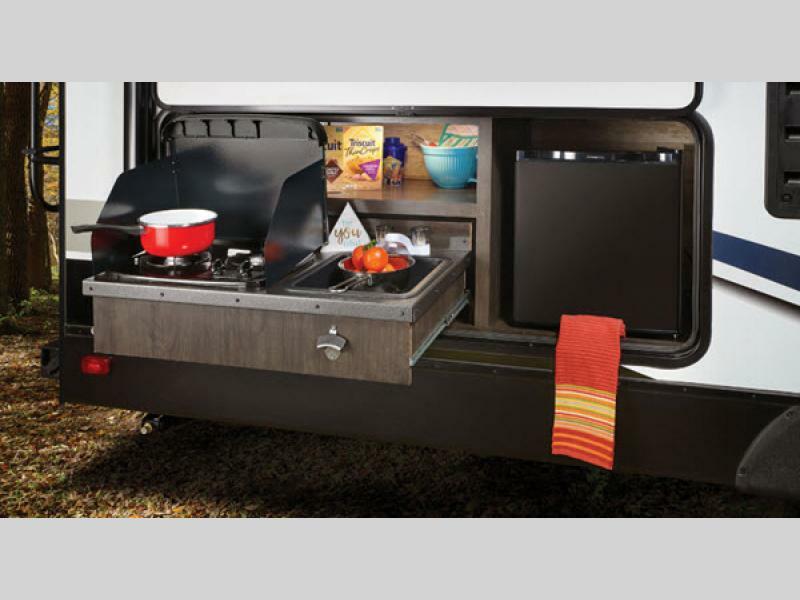 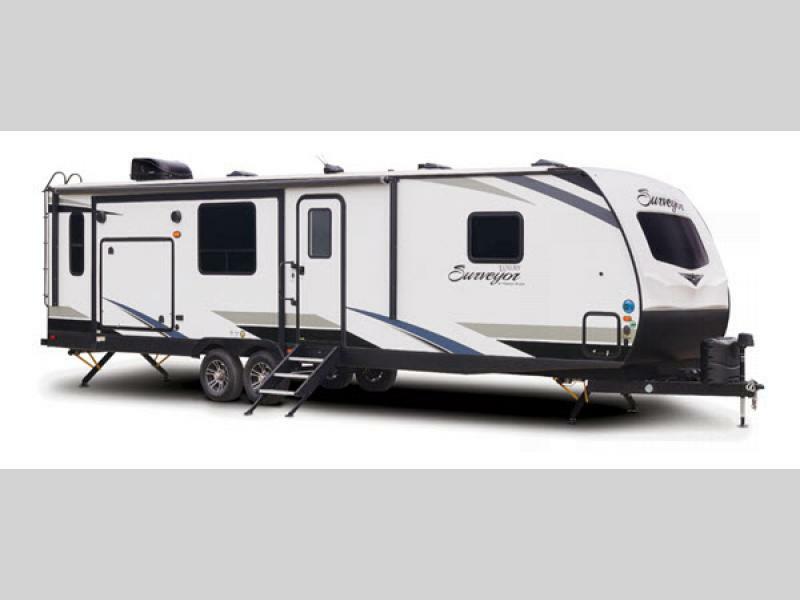 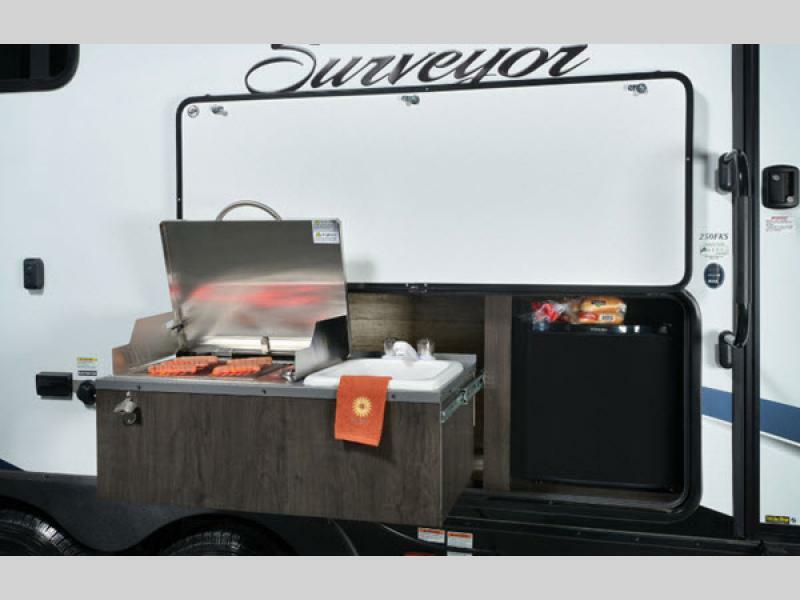 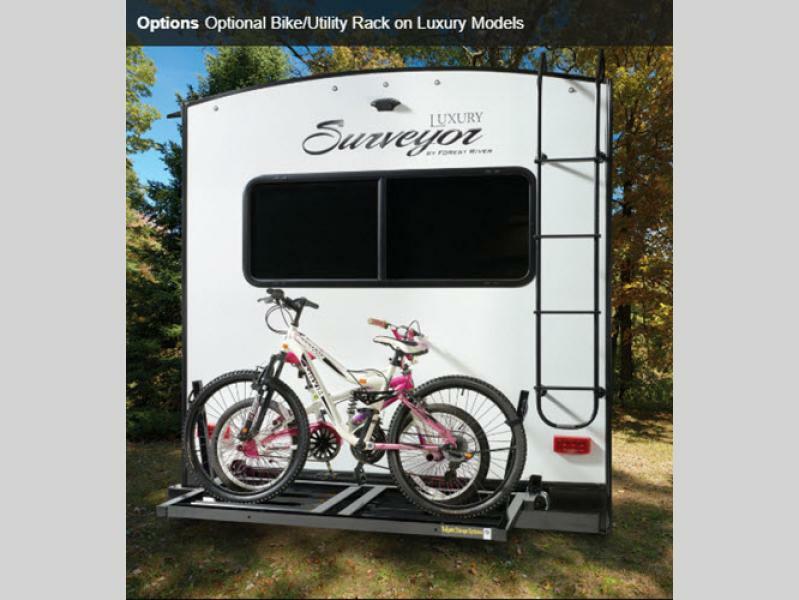 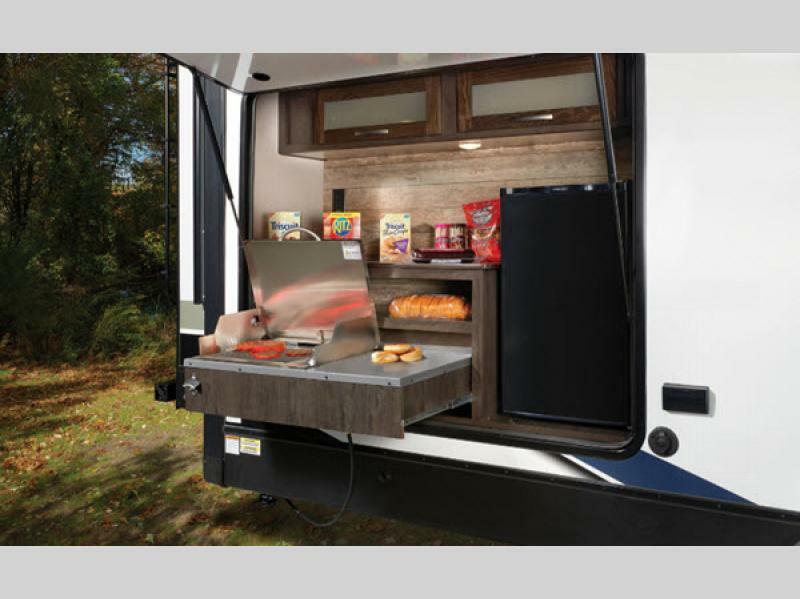 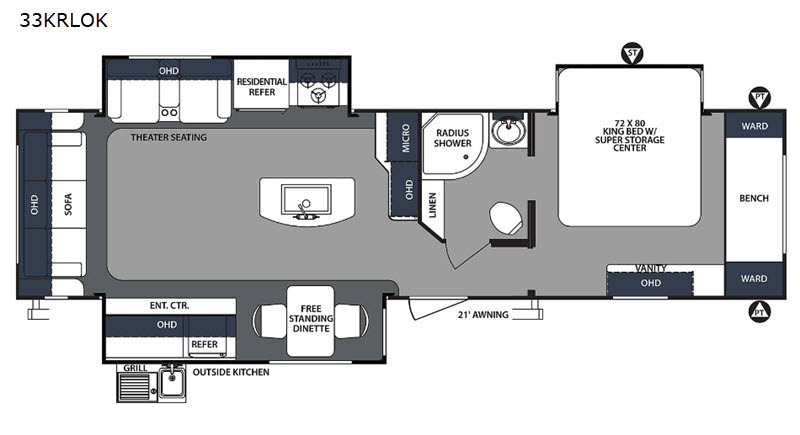 For your next camping experience that is a step above the rest, choose a Surveyor Legend or Luxury travel trailer or hybrid expandable model today!